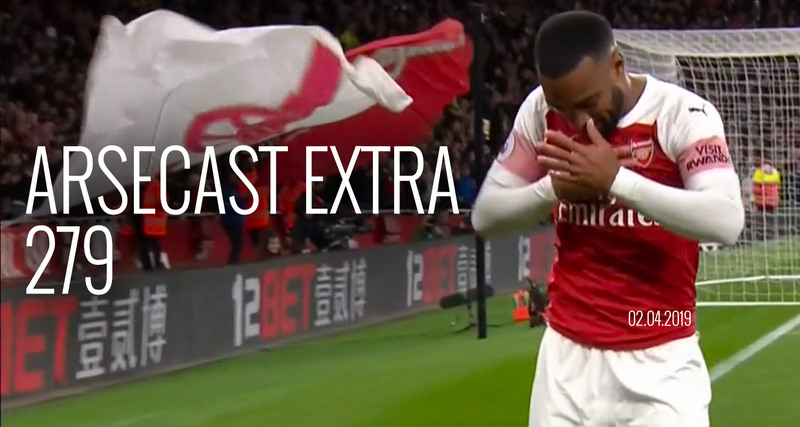 Welcome to another Arsecast Extra, the Arsenal podcast, with myself and James from @gunnerblog. Football is back at last, and Arsenal returned to action with a 2-0 win over Newcastle. We discuss the game, the goals we scored and the ones that got disallowed, the influence of key men like goalscorers Aaron Ramsey and Alexandre Lacazette, and what it means for our Champions League qualification chances. We then answer questions about Mesut Ozil, Matteo Guendouzi and where he can improve, summer transfer plans, another Technical Director candidate, a choice between a Premier League place and a trophy, and lots more. Remember, you can send us questions via which we’ll try and get to each week. Send them to either @arseblog or @Gunnerblog (or both) using the hashtag #arsecastextra. Best to send them Monday morning so they get noticed more easily. You can subscribe to the Arsecast Extra on iTunes by clicking here. Or if you want to subscribe directly to the feed URL you can do so too (this is a much better way to do it as you don’t experience the delays from iTunes). You can listen without leaving this page by using the player below, download the Acast app for iOS or Android, or download the MP3 directly using the link below. Also, if you’re a fan of the show, please leave us a rating/review on iTunes, it’d be greatly appreciated.